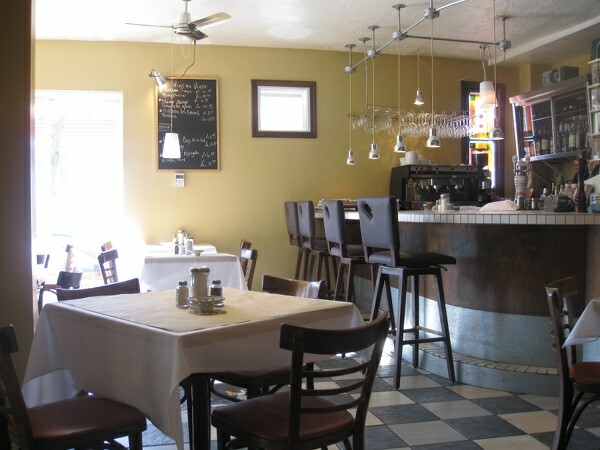 This french bistro has a very comfortable feel to it where you can sink in your seat and stay there for hours, which we did and were not hassled to get going. There is no lineup, no attitude, its simple straightforward honest food, in a lovely neighborhood place. As soon as you walk in you see this plastic protective layer to keep the heat in and the cold out during wintertime, which I felt was a really smart idea. There’s some banquette seats, some tables at the end and more tables right by this nice large bar. During the summer I was told that they put a few tables outsides and I can see how it can make for a nice relaxing brunch since the area is rather quiet. 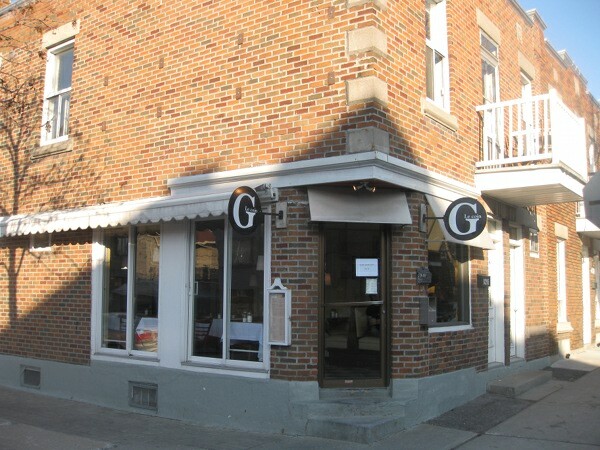 To be honest I did not know what to expect going into Le Coin G, what I had heard was positive but I did not know what was I going to try out, so I analyzed the menu to see what my options were. The menu has some really well priced options with most dishes being under $10. 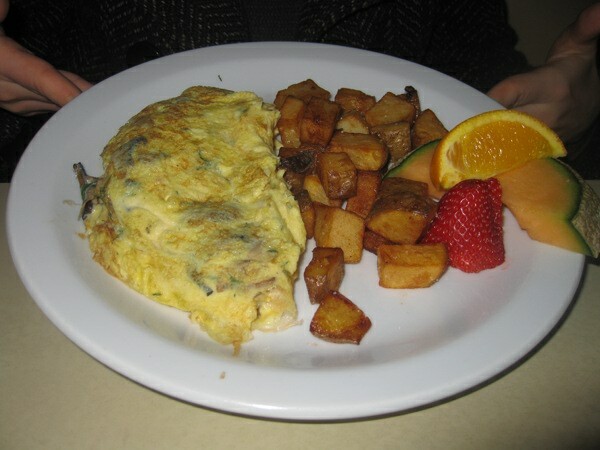 It has 2 large sections for omelettes and crepes with a basic omelette priced at $6.00 and a basic crepe at $6.50. Then they have a section where you can create your own omelette ($9.00) or crepe ($9.25) and have it made with an options of 3 ingredients out of a list of 22 food items. Some of the toppings include feta, basil, onions, grilled zuchini, cream cheese, smoked salmon, grilled chicken, blue cheese as well as many other tasty options. I think this is brilliant option which allows someone to make their plate as meaty or as vegetarian friendly as they want. The menus has other items as well: Eggs Benedict ($10.75), yogourt, fruit and nut mix ($7.50), and four types of french toast ranging from $7.00-$9.00. The make-your-own-omelette concept was quite interesting so we decided to try that out. I cannot stress enough on how this is a good idea since it makes reading the menu easier and offers the most possible options even for the pickiest of appetites. You can also add an extra topping if you can’t decide on only three items in your omelette which will cost you anywhere between $1.50 to $2.50 depending on the ingredient you chose. The plate came with potatoes and fruit; the potatoes were delectable and had a very good consitency that is somewhere between crispy yet still melted when you bit into them; the fruit was fresh and the slices were thick, although a few more pieces would have been nice. The omelette itself was a home run! It was fluffy yet filling and the ingredients were fresh and made the ordering process even more fun. I was torn whether to have an eggs benedict or the crepes (that have the same item options as the omelettes). In the end my friend convinced me to go with what I always love and the Eggs Benedict won the contest. Honestly, I feel that sign of a good kitchen is how well they can pull off an eggs benedict since it needs marry both delicate flavour and robust taste. The eggs benedict came with a side of potatoes and fruit which was the same side as the omelette. 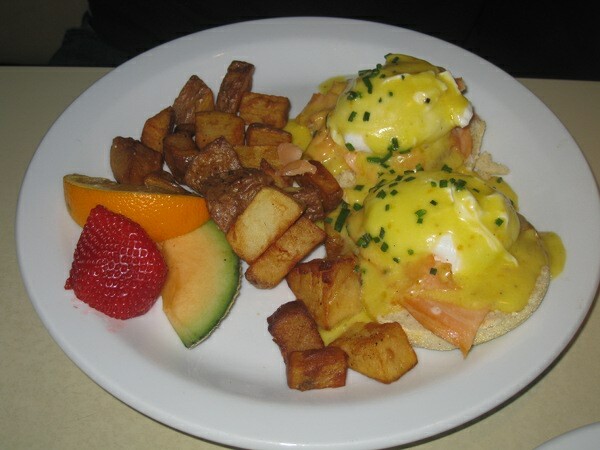 The two eggs were served on an english muffin and served with smoked salmon – in fact, now that I think of it I had them sub the ham for smoked salmon at no cost. (BONUS!) The holondaise sauce was just the right thickness and not overly sweet, and the eggs were cooked just perfectly so as to be not too runny or thick. I was quite impressed with this dish. The service was very friendly, our waitress was very nice and patient considering that we stayed there for almost 4 hours. The coffee refills were relatively frequent. Most options on the menu are not paired with or made with meat, the three option omelette and crepe allows for an all vegetarian option. As well the melange G ($7.50) comes as yogourt, fruit, granola and fruit reduction. Although, there are no real vegan options other than a fruit cup. I was really impressed with this little place: the food was great, service was good, lots of menu choices without getting lost in it and whats even more impressive is how it was rather empty. This is an undiscovered gem and I can’t wait to come back in the summer and see what happens when they open up the terrace seating. You stayed for four hours!?!?!? Evil eeeeeeevil man! I think it’s great that this site posts not only popular places that we’ve all heard about and have yet to try, thus allowing us to know whether or not the popularity is well deserved or just hype. But more importantly, you’re able to tell us about the little hidden gems that we wouldn’t otherwise know about. Props for the research! Keep up the good work!!! Thanks for for the props always appreciated.